THIS IS A PRE- ORDER. WE ARE WORKING ON THE MOST PUREST RESTORED NAME VERSION. These brothers and sisters have given up their lives to see this translation completed for His Spanish people and it has not been an easy road. This is really a legacy of love for they know His Word is the greatest gift you can give His people. They will not compromise on this translation as doing so would bring dishonor to the Father who sees all things and knows all things. 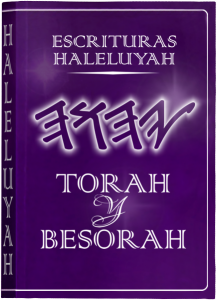 As with the HalleluYah Scriptures translation team they give all they have as it is important to do the best we can. They study and research near daily to bring the purest and closest to the Hebrew than any other version. When the Ruach has anointed such work it will led many to His truth. 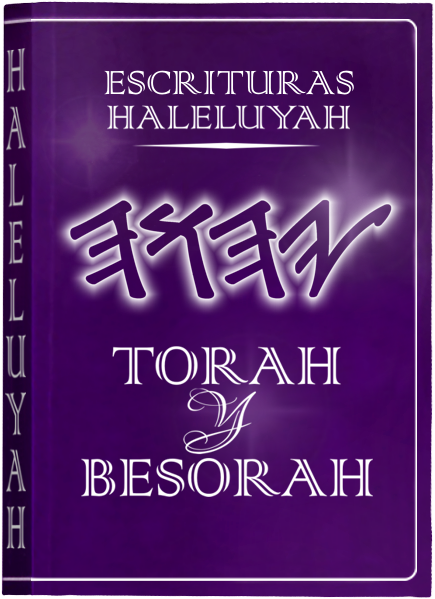 The HalleluYah Scriptures Spanish is a translation directly from the original Hebrew into Spanish,following the same principals of HalleluYah Scriptures wherein the Name of the Father is restored throughout in Paleo Hebrew as is the Name of Ha' Mashiach. There are no pagan words associated with the Father, His Son and His people. All names and places are transliterated to give an accurate pronunciation of the original Hebrew. As with HalleluYah Scriptures, there are no added footnotes or doctrines of man to mislead; just the pure word of the Father. Most translations into other languages are simply translations form English, thereby compounding errors becoming a translation of a translation. 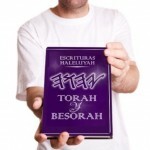 Please support this very important project as we have been inundated with so many orders for the Spanish translation. Bear in mind that there is nearly half a billion Spanish speaking people in the world. Spanish is the second most spoken language in the world. You can donate to help the Spanish people receive this translation, as we have had many orders from Spanish prison ministries, homeless programs and boarder ministries and many Spanish fellowships, groups and individuals. Please pray for this project and if you would like to offer your help with translating can you kindly let us know as the more help the Spanish translation team gets the faster we can released the rest of the books for His people around the world. There is no greater works you can do for the Father and it will be the greatest works you have ever done as there is nothing more important than His Word. If you would like to help in translating kindly let us know. Thank you and HalleluYah.